I love mathematics. I love teaching mathematics and I love watching my students think mathematically. I would like to share my story of how I came to re-imagine what I had thought was teaching and learning math – and how I came to see how math was really math-ish and not always about getting the right answer. Stop most adults on the street – ask them about their school math experience – and they may tell you they liked their math teacher, or they hated math, or they were never very good at it, or they lacked the “math gene.” Most of all –they will probably tell you that math is about rules. Math was always about getting the right answer and it’s the fear of being wrong and forgetting the rules – that has crushed the spirits of many math students. My talk will enlighten the audience with the notion that math is “ish” and doesn’t have to be about being “exactly”right. Math is not about knowing – it’s about not knowing. And the learning happens when we don’t know. I now realize that as a teacher of math, I am empowered to pique the curiosity of children and help make sense of what they learn. I have come to re-imagine what math classrooms can be like – and that they can be places where students can be creative, talkative, and their learning experiences enriched with the beauty of math. I want kids to discover mathematics – and maybe this discovery of a new love will last a lifetime. 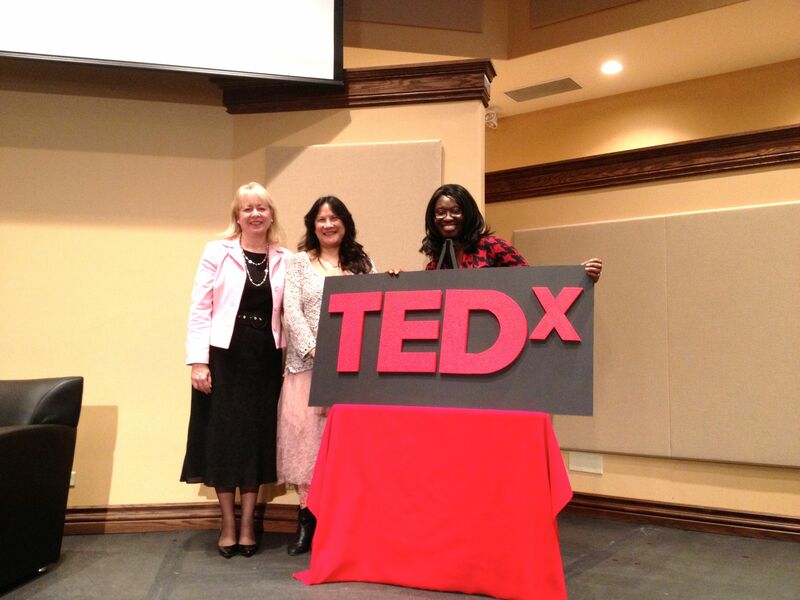 This TEDx talk will be available online in the near future.